10m Karting Session, Adults, St. Feliu de Ll. 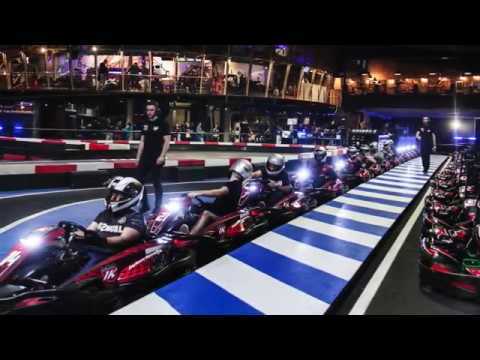 You can also review what more than 14 clients think about Indoor Karting Barcelona by starting with Sergio most recent comment from 11/02/2019. Track covered, new cars, second curve in 360? To spend a good day in a group or alone. With wiffi, good services, and ? Music. Something cumbersome the inscription, why it is necessary to fill an extensive card (for security)? about the activity of: 10m Karting Session, Adults, St. Feliu de Ll. I loved it and all the players were delighted. They say they would do it again or a thousand times more. The groom was speechless, he loved it too. If I had to do it again with me to repeat experience. We are pleased! See you in the back! A greeting! I loved it? The afternoon that happened? In Karting. For beginners it imposes, but it is a past authenticity. It is an authentic experience from the moment you enter until you leave. Good afternoon, We try to live the engine experience to its maximum extent! We love to know that people leave Indoor with good taste. A greeting! It went well, the kart, the track and everything okay. We are accustomed to doing the activity often and we have found it all well. It was good, being the first time we were a bit lost at first but well, the staff is already organized. Of course we will repeat, it becomes a little boring because you repeat and repeat laps but we liked it a lot. The track of Sainz in Madrid is not bad either but the one of Barcelona is very superior. The Gene-dakart tracks are at a lower level. We had a very, very good time with a little bit of delay to get to a dinner that we had, but what is the attention and race well. Everything perfect, thank you very much, they have had a great time. First they played the game of laser tag, the very kind and friendly boy, and then they played the game of bowling where a very nice girl has treated us very well, all great. It seemed like a very exciting and fun activity, but a bit expensive.